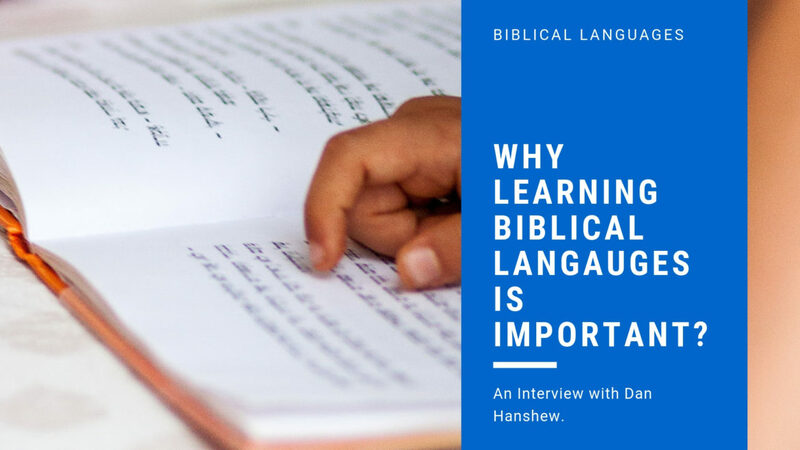 Why Learning Biblical Languages are Important for Understanding God’s Word? An Interview with Pastor Dan Hanshew. Pastor is responsible before the Lord of what he teaches. Pastor’s goal should be to try in his study to get back as close as he can to the primary source. Dealing with sources close to the primary sources – not tied with anyone’s translation. If you know the original languages, you don’t have to rely on other interpretations. It allows you to clearly see some nuances of the text. It allows the pastor to see the grammatical and syntactical outline. It often allows the pastor to focus more on his work. When you know languages, it can make sermon preparation laborious, and time consuming. With hard work they tend to communicate what the text says. The pastor who knows the languages needs to realize that more church people need application; needs explanation. Robertson, A. T. A Grammar of the Greek New Testament in the Light of Historical Research. Logos Bible Software, 2006. Wallace, Daniel B. Greek Grammar Beyond the Basics – Exegetical Syntax of the New Testament. Zondervan Publishing House and Galaxie Software, 1996. Waltke, Bruce K., and Michael Patrick O’Connor. An Introduction to Biblical Hebrew Syntax. Winona Lake, IN: Eisenbrauns, 1990. Joüon, Paul, and Takamitsu Muraoka. A Grammar of Biblical Hebrew. Pontificio Istituto Biblico, 2003. Gesenius, Friedrich Wilhelm. Gesenius’ Hebrew Grammar. Edited by E. Kautzsch and Sir Arthur Ernest Cowley. 2d English ed. Oxford: Clarendon Press, 1910.